This item is design by Alphalite to be part of their LED Linear Strip Light series. Therefore it is an excellent choice for size restricted architecture applications. The recommended settings could be in the following: commercial, industrial, retail, and residential applications. 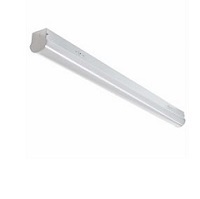 It is widely used for storage/utility areas, display cases, shops, and general area lighting. You will receive 8,645 lumens for light output from only 65 watts. It is DLC Premuim approved and comes with a seven year warranty.